ESSAR STEEL INDIA LTD. AND ANR Vs. STATE OF GUJARAT AND ANR. 2. Brief facts of the case which are necessary to be noticed for deciding this appeal are: – The appellant no.1 is duly incorporated company under the provisions of Companies Act, 1956 engaged in business of manufacturing and selling steel products. The appellant no.2 is also a duly incorporated company under the provisions of Companies Act, 1956, which is a generating company selling/supplying electrical energy. The appellant no.1 company set up its gas based steel plant at Hazira, in the year 1990 or thereabout for production of HBI. It also set up a 20 MW Open Cycle Power Plant for captive consumption of power for its HBI plant. On the application made by the appellant no. 1 Company, the State Government granted exemption from payment of electricity duty for a period of 10 years commencing from 21.07.1990 with respect to the said Open Cycle Power Plant. Subsequently, the appellant no.1 Company converted the said Open Cycle Power Plant of 20 MW into 30 MW Combined Cycle Mode Power Plant by adding steam turbine. Consequent upon such conversion, the appellant no.1 company was granted by the State Government exemption from payment of electricity duty for a period of 15 years commencing from 21.07.1990. In the year 1991, the appellant no.1 company also desired to put up a composite plant after making substantial investment for production of both HBI and HRC. Therefore, in or about the year 1991-92, the appellant no.1 company thought of setting up another Captive Power Plant of 300 MW of capacity in Combined Cycle Mode at Hazira for meeting its requirement of more power. The appellant thought of doing so, in view of the benefits available to the Captive Power Plant at the relevant time. The Government of Gujarat and the Gujarat Electricity Board granted in principle approval to the appellant no.1 company for setting up the said Captive Power Plant of 300 MW. There was, however, a change in the Power Policy of Government of India, in the year 1991-92, which allowed the participation of private sector in power generation. Government of Gujarat also, with a view to give effect to that policy, issued a Notification dated 27.02.1992 under Section 3 of the Bombay Electricity Duty Act, 1958(hereinafter referred to as 1958 Act). The appellant no.1 Company, therefore, abandoned its plan to set up the said Captive Power Plant of 300 MW in Combined Cycle Mode and in place and instead thereof, promoted and incorporated a separate generating company under the name and style of “ESSAR Power Limited”, the appellant no.2 is a Special Purpose Vehicle promoted by the appellant no.1 company for supply of power to the appellant no.1 company as well as to the Gujarat Electricity Board. 4. The appellant no.1 had filed an application dated 15.03.2001 seeking exemption from payment of electricity duty under the notification dated 27.02.1992 issued under Section 3(3) of the Bombay Electricity Act, 1958 (hereinafter referred to as Act 1958). Another application dated 12.04.2001 was sent by appellant no.1 to the Commissioner of Electricity seeking exemption from electricity duty for a period of 15 years under Section 3(2)(vii)(a)(i) of 1958 Act. The State of Gujarat Vide Order dated 23.12.2002 rejected the request for exemption under Section 3(2). The Order dated 23.12.2002 was challenged in the High Court Wherein High Court vide Order dated 17.03.2003 left open to the Government to take a fresh decision. The State Government again by Order dated 23.01.2006 rejected the application of appellant no.1 for grant of exemption for payment of electricity duty for 215 MW power generation equivalent to 42% of the total generation. The Writ Petition was again filed challenging the Order dated 23.01.2006 in which High Court set aside the Order dated 23.01.2006 and directed the Government to pass a fresh Order. The State Government passed the detailed Order dated 24.12.2009 rejecting the claim of appellant no.1 for exemption of payment of electricity duty both under Section 3(2)(vii)(a)(i) as well as under notification dated 27.02.1992. After decision dated 24.09.2009 recovery notice dated 06.10.2009 was issued for payment of electricity duty amounting to Rs.562/- Crores together with interest totaling Rs.1038.27/- Crores for the period of April 2000 to August 2009. The Order of State Government dated 24.09.2009 was challenged by the appellants before the High Court by means of Special Civil application no. 10946 of 2009. Learned Single Judge dismissed the Writ Petition vide its judgment dated 25.02.2010 aggrieved against which Letters Patent Appeal was filed by the appellants. In Letters Patent Appeal, an interim order was granted on conditions: The appellant shall pay a sum of Rs.50 Crores against the outstanding dues of electricity by 30.04.2010 in two installments of Rs.20 Crores each. The appellant no.1 shall further pay from 01.05.2010 a sum of Rs.15 Crores every month against the outstanding dues of electricity. 7. Learned Counsel for the appellants contends that the issue is squarely covered in its favour by a decision of this Court in A.P. Gas Power Corporation Ltd. Versus AP State Regulatory Commission and another, (2004) 10 SCC 511, wherein it was held, inter alia, that the electricity generated by a Special Purpose Vehicle and consumed by the participating member to the extent of its equity contribution would amount to captive consumption of electricity. 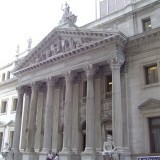 The High Court in the impugned judgment, however, distinguished the aforesaid judgment of this Court on the ground that in that case the parties were governed by a Memorandum of Understanding (“MoU”) which was not there in the present case and secondly, on the ground that ESIL was purchasing 215 MW of power from EPL. 9. Learned Counsel appearing for the State refuting aforesaid submission contends that Government as well as High Court has rightly rejected the claim of exemption of duty. The appellant neither fulfills the statutory requirements under Section 3(2) nor fulfill the conditions of the notification dated 27.02.1992. ESSAR Power and ESSAR Steel are separate and independent legal entities. ESSAR Steel is not generating energy. ESSAR Steel is not generating either singly or jointly with either GEB or its successor entity, Gujarat Urja Vikas Nigam Limited or even with ESSAR Power. ESSAR Power is not generating energy for its own use. ESSAR Power Limited has established 515 MW power station, out of which 300 MW capacity has been allocated to Gujarat Electricity Board (GEB). Thus 58% of the installed capacity is allocated to GEB and in relation to such capacity; ESSAR Power Limited generates and sells electricity as a generating station and not as a captive Power Plant of GEB. The remaining capacity of 215 MW, which constitutes 42%, is for ESSAR Group of Companies, as per the stipulation contained in the Power Purchase Agreement dated 30.05.1996 entered into between ESSAR Power and GEB as well as the Power Purchase Agreement dated 29.06.1996 entered into between ESSAR Power and ESSAR Steel. The clauses in each of these agreements is clearly inconsistent with ESSAR Power being treated as captive generation and use within the scope of Section 3(2)(vii) of the 1958 Act. The appellant has rightly been denied the benefit of exemption as claimed under the notification dated 27.02.1992. The condition of the notification dated 27.02.1992 specifically states that the generating set or sets shall have to be purchased or installed or commissioned during the period beginning from 01.01.1991 and ending on 31.12.1992. This does not cover order placed for the purchase of generating set. Since ESSAR Steel has merely placed the order for generating set but neither purchased nor installed or generated within the period specified in the aforesaid notification, it is not fulfilling this condition and hence not entitled for benefits of the said notification. In case of purchase, property in goods is transferred to the owner, here, in given case, property in goods cannot be considered as transferred when same is simply ordered. 13. In the present case, no application in the prescribed form as per Rule 11 of the Rules was filed by the appellant no.1 and for the first time the appellant had come up with an application dated 15.03.2001 seeking an exemption under notification dated 27.02.1992 and subsequently on 12.04.2001 has again claimed exemption under Section 3(2)(vii)(a)(i) of 1958 Act. The exemption from payment of duty as claimed by the appellant is in two parts. Firstly, under Section 3(2)(vii)(a)(i) of 1958 Act and secondly, under the notification dated 27.02.1992. We proceed to examine both the claim separately. (vii) for motive power and lighting in respect of premises used by an industrial undertaking for industrial purpose, until the expiry of the following period, that is to say- In the case of an industrial undertaking which generates energy either singly or jointly with any other industrial undertaking for its own use or as the case may be, for the use of industrial undertakings which are jointly generating the energy. Fifteen years from the date of commencement of the Bombay Electricity Duty (Gujarat Amendment) Act, 1983(hereinafter in this sub-section and sub- sections (2A) and (2AA) referred to as “the commencement date”) or the date of starting the generation of such energy whichever is later in such generation of energy is by back pressure turbine or if such generation of energy is obtained by co-generation. 15. The keywords in the statutory scheme are “generates energy either singly or jointly with any other industrial undertaking for its own use or as the case may be, for the use of industrial undertaking which are jointly generating the energy.” We have to look into the facts of the present case to find out as to whether the statutory conditions enumerated above are satisfied in the facts of the present case or not. The appellant no.1 is a separate registered company which holds 42% equity shares of the appellant no.2. The appellant no.2 has been constituted as a Special Purpose Vehicle for generating electricity. The appellant no.2 is a generating company within the meaning of Section 2(4A) of Electricity (Supply) Act, 1948. The submission which has been pressed by the counsel for the appellant is that both the appellant no.1 and appellant no.2 are generating energy jointly for the use of industrial undertaking which are jointly generating the energy. AND WHEREAS the Company is setting up the said Generating Station and has been permitted as a special case to supply power to its sister concerns viz. ESSAR Steel Ltd. and ESSAR Oil Ltd, hereinafter jointly and severally referred to as ‘ESSAR Group Companies’. AND WHEREAS ESTL which is engaged in the manufacture of Steel products at Hazira, intends to purchase electrical output generated by the Generating Station equivalent to 138 MW capacity in the Open Cycle mode and 215 MW capacity in Combined Cycle mode operation (hereinafter collectively or severally referred to as the ‘Allocated Capacity’) on the terms and conditions set forth in this Agreement. 17. 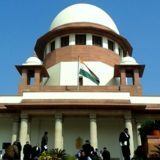 Even assuming appellant no.1 and appellant no.2 are jointly generating the energy for the use of industrial undertaking which are jointly generating the energy, the Gujarat Electricity Board to whom 300 MW has been allocated cannot be held to be industrial undertaking which is jointly generating the energy with appellant. The Statutory scheme for grant of exemption has to be strictly construed. The appellant no.2 is not jointly generating energy with Gujarat Electricity Board and it is selling the energy to the extent of 300 MW to Gujarat Electricity Board. The conditions of the statutory provisions of Section 3(2)(vii)(a) are not fulfilled. The High Court has further held that both ESL and EPL being distinct separate legal entities merely because ESL might have 42% shares holding in EPL, it cannot be said that ESL is generating electricity jointly with EPL and EPL is generating electricity jointly with ESL for use of electricity by ESL. 19. We have noticed above that Power Purchase Agreement allocated the energy to the Gujarat Electricity Board to the extent of 58% and 42% power supply was to be given to sisters concern i.e. ESSAR Gujarat, ESSAR Steel and ESSAR Oil as a special case. It is well settled that taxing statute are to be strictly construed specifically the exemption notification. It has been held that the statutory provisions providing for exemption has to be interpreted in the light of words employed in it and there cannot be any addition or substraction from the statutory provision. This Court in Commissioner of Central Excise, Surat-I versus Favourite Industries, 2012 (7) SCC 153, while considering exemption notification issued under Central Excise Tariff Act, 1985 laid down following in paragraph 35 to 40:- "35. The notification requires to be interpreted in the light of the words employed by it and not on any other basis. There cannot be any addition or subtraction from the notification for the reason the exemption notification requires to be strictly construed by the courts. The wordings of the exemption notification have to be given its natural meaning, when the wordings are simple, clear and unambiguous. 40. In CCE v. Mahaan Dairies, this Court has held: (SCC p. 800, para 8) “8. It is settled law that in order to claim benefit of a notification, a party must strictly comply with the terms of the notification. If on wording of the notification the benefit is not available then by stretching the words of the notification or by adding words to the notification benefit cannot be conferred. The Tribunal has based its decision on a decision delivered by it in Rukmani Pakkwell Traders v. CCE. We have already overruled the decision in that case. In this case also we hold that the decision of the Tribunal is unsustainable. It is accordingly set aside.” (emphasis supplied)” 20. The statutory provisions of Section 3(2)vii(a) thus have to be strictly construed and in event the condition of generating energy jointly with any other industrial undertaking is not fulfilled, the claim has to be rejected. 24. Learned Counsel for the appellant has placed reliance on judgment of this Court in A.P. Gas Power Corporation Ltd. Versus A.P. State Regulatory Commission & Another, 2004 (10) SCC 511. In the above case, the State Government of Andhra Pradesh and Andhra Pradesh Electricity Board had mooted the idea of setting up of 3 X 33 MW gas-based Combined Cycle Power Station for establishing a generating station. It was decided to invite private participation in the venture. A Memorandum of Understanding dated 17.10.1988 and on 19.04.1997 was entered according to which Andhra Pradesh State Electricity Board had to have 26% shares in the new company to come up as A.P.GPCL and rest of the participating industries were to have different percentage of shares and the power so generated by company was to share proportionately among the shareholding participating companies and their sister concerns. The question which fell for consideration before this Court was as to whether A.P.GPCL was required to take a license under the law for utilization/sale and supply of power generated by the participating industries, their sister concerns and the companies to whom shares of APGPCL were transferred by the participating industries. 25. This Court after noticing the contents of various clauses of Memorandum of Understanding and the provisions of Indian Electricity Act, 1910 and Andhra Pradesh Electricity Reform Act, 1998, laid down following in paragraph 36 and 37: “36. From the perusal of para 4 of the Memorandum of Understanding it is clear that a participating industry has been given a right to transfer its share of energy and power to its sister concern. The term “sister concern” has been explained as “a concern under the same group.” There is no further clarification or clue as to which are those concerns which may be considered under the same group. The expression “sister concern” used in para 4 of the Memorandum of Understanding certainly does not mean a concern which is owned or is a subsidiary of the participating industry. It would be a concern or unit different from the participating industry and not a part of it. Maybe,that the same group may manage two different independent units carrying on the same nature of activities. They may be addressed as sister concerns but would definitely have separate entity and identity of their own. Consumption of power, generated by a generating company, by a concern which may be under the same group as any of the participating industry cannot be said to be consumption or use of the power by the participating industry itself. In absence of the element of self- consumption by the generating company, it would not fall in the category of “captive consumption”. It would surely be a supply to a non-participating industry and in that event it would be necessary to have a licence under the relevant provisions of law. If there is such a legal requirement, merely an agreement amongst certain parties would not exclude the application of law. Provisions of law regulating the situation would prevail over any kind of agreement amongst some individuals as a group or otherwise. We are, therefore, of the view that such a clause in the Memorandum of Understanding would not do away with the requirement of having a licence for supply of electricity generated by A.P.GPCL to such concerns which may be under the same group as the participating industries but not the participating industries themselves. 30. Learned Counsel for the appellant has submitted that the High Court had rejected the claim of payment only on the ground that there is no such Memorandum of Understanding between EPL and ECL as was found in A.P. Gas Power Limited (Supra). The High Court although has noted the fact that in the present case there is no such Memorandum of Understanding between EPL and ECL but the judgment of the High Court is not based only on the above premise rather High Court has clearly found that conditions stipulating under Section 3(2)(vii)(a)(i) of 1958 Act are not satisfied, hence, appellant no.1 is not entitled for exemption. High Court has elaborately considered all the submission raised by the appellant and rightly came to the conclusion that conditions as enumerated in Section 3(2)(vii)(a) are not fulfilled. We do not find any error in the aforesaid finding of the High Court. The generating set or sets shall have been purchased and installed or commissioned during the period beginning from 1st January, 1991 and ending on 31st December, 1992. Providing that such generating act or sets shall not have been previously used in the State. Tags: A. K. SIKRI ASHOK BHUSHANCIVIL APPEAL NO. 4842 OF 2017ESSAR STEEL INDIA LTD. AND ANRState of Gujarat and Anr.